A collection of twelve short stories that are all very different. 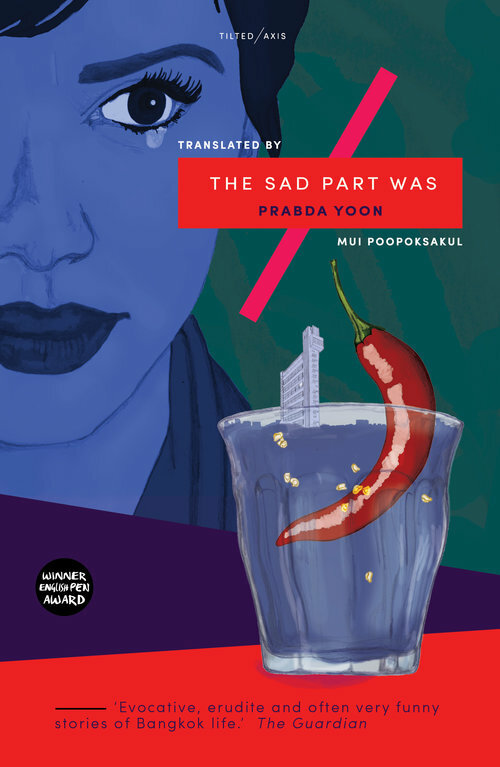 Translated by Mui Poopoksakul. All of the short stories are set in modern Thailand and they are all witty and often are a little weird too. They mix together genres like sci-fi with romance or mystery, some of them really shouldn’t work but they do. Pop culture references abound in these stories about characters of all ages and backgrounds. Having a collection feature stories about such different people shows little snapshots of what life is like in modern Thailand for different people. The setting was interesting as it often felt like a blend of the new and the traditional. My favourite short stories happen to be two that feature vampires – “The Disappearance of a She-Vampire in Pattaya” and “Pen in Parentheses”. “The Disappearance of a She-Vampire in Pattaya” does exactly what it says on the tin, it’s a mystery and the way different characters talk about the apparent She-Vampire makes you wonder if she is a vampire or not. “Pen in Parentheses” on the other hand was about a man reminiscing about his childhood living with his grandparents and how his grandfather would screen old films, including Dracula, on a bedsheet with accompanying classical music. As is the case with short story collections, there were some stories I liked a lot and there were some I was indifferent to, but they were all pretty interesting in their own ways. Some of the stories were quite meta, with characters seeming to know they are characters and they’re just waiting to find out what the author is going to make them do. A lot of the stories have twists and turns and don’t go where you expect them to at all. This makes this collection a mostly enjoyable and unique experience.